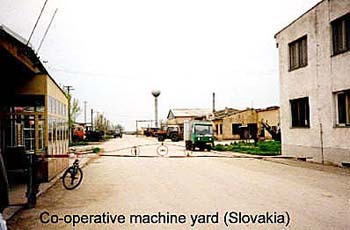 In this short essay I want to explain why it is that studying the post-socialist rural transition in Central and Eastern Europe is not the marginal, rather esoteric activity that most readers probably imagine, but central to our understanding of post-socialist economics, politics and society. 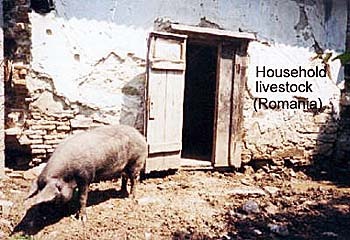 Socialist agriculture, in particular the collective farm, was far from marginal. In fact it embodied three essential features of the socialist project. 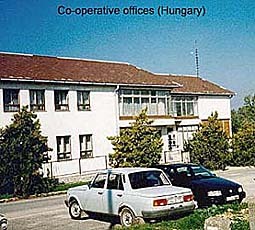 First, it represented a unique experiment in attempting to transpose to agriculture an industrial scale and pattern of work organisation, with such "modern" features as a complex, hierarchical division of labour and extensive use of managerial and service staff - rational, large-scale, mass agricultural production (see pictures of co-operative farms). Yet the collective farm also retained within it the very antithesis of this "modern" agriculture - small-scale, household-oriented production (see pictures of household livestock and gardens); and the symbiotic interactions between small-scale, household, "second economy" farming, and large-scale, "socialist", modern, "first economy" production proved to be central to our understanding of both socialist Hungary's agricultural success story in the middle-to-late socialist years, and how "actually existing socialism" could be made to work. In the 1980s, however, the weaknesses of relying on two equally non-market economic systems became apparent. Stuck in a "modern" but non-market paradigm, the "first" economy could not become efficient, while the "second" economy remained too small, too subsistence-oriented, and too dependent on compensating for the inadequacies of the "first" economy to become market-driven itself. 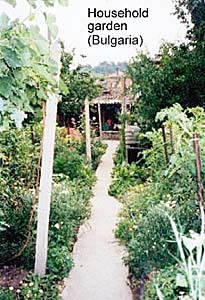 If the collective farm combined the modernist bent of socialist production relations with the symbiotic interaction of the "first" and "second" economy that made "actually existing socialism" function reasonably successfully (for a time at least), it also embodied a third essentially socialist feature, namely the attempt to create a socialist community, a working and living environment imbued by socialist values. 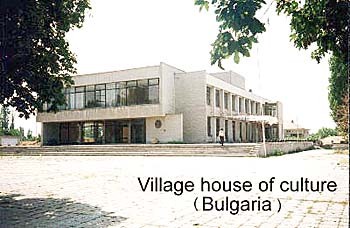 Collective farms had an especially close relationship with the local authorities in whose jurisdictions they operated, one which was based on "socialist co-operation" in the creation of this "socialist" culture, which was made up, in fact, of a mixture of bourgeois, paternalistic and modernist ideals (see picture of House of Culture). Given this embodiment within the collective farm and socialist agriculture of three essential features of the socialist project, it follows that the demise of the collective farm provides a lens through which to illuminate the changes brought about by post-socialism in these three respects. 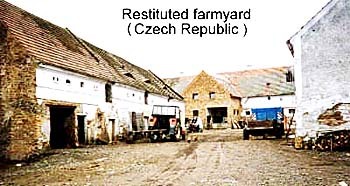 What happens when socialist ownership is replaced by private ownership, when socialist assets are taken over by their managers or reclaimed by the heirs of their original owners (see picture of restituted farm)? What happens to non-owners once the socialist obligation to provide employment has been removed? What happens when interactions between "first" and "second" economy are destroyed by the all-embracing power of the market? What happens when socialist community and political values are opened up to competition from other ideological and political influences? The above are all fundamental questions about the nature of post-socialism, which, individually, are being investigated by many branches of the social sciences. But they are also interrelated questions which would benefit from research in the round, because they impact on people in combination not singly. The one research field where it is possible to investigate concurrently both market impacts (on socialism's modernist, non-market production relations as well as its integration of the "first" and "second" economy), and the consequences of political and cultural pluralism for the anti-democratic, modernist, bourgeois, paternalism of socialist culture is the post-socialist countryside, because that is where they all came together. Hence the centrality of the rural.